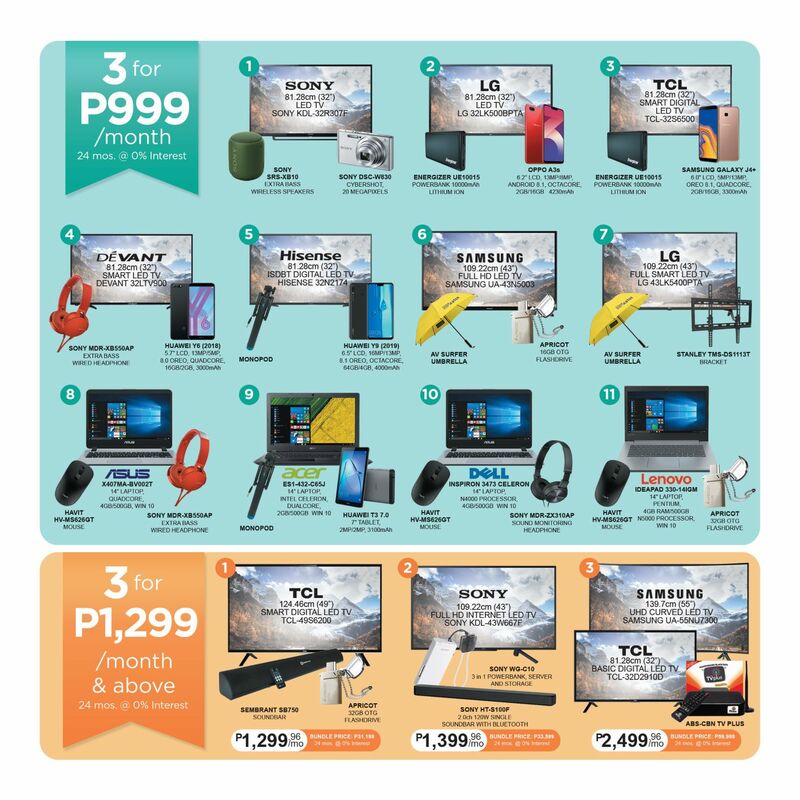 Qualified cardholders can avail of the featured products on 0% installment of up to 24 months..
Free items and bundles are not convertible to cash, discounts and other products. RCBC Bankard Easyterms 0% Installment is subject to RCBC Bankard’s approval. Retail purchases prior to the promo period will continue to incur interest charges at the applicable monthly interest rate. Installment is subject to RCBC Bankard’s approval and is only valid if monthly dues are paid in full. Only Sony products are available at Sony Gadget Stores and Sony Centre by Avid branches. Easyterms 0% interest is applicable if the cardholder pays his/her monthly installment in full. RCBC Bankard Easyterms 0% Installment is subject to RCBC Bankard’s approval. 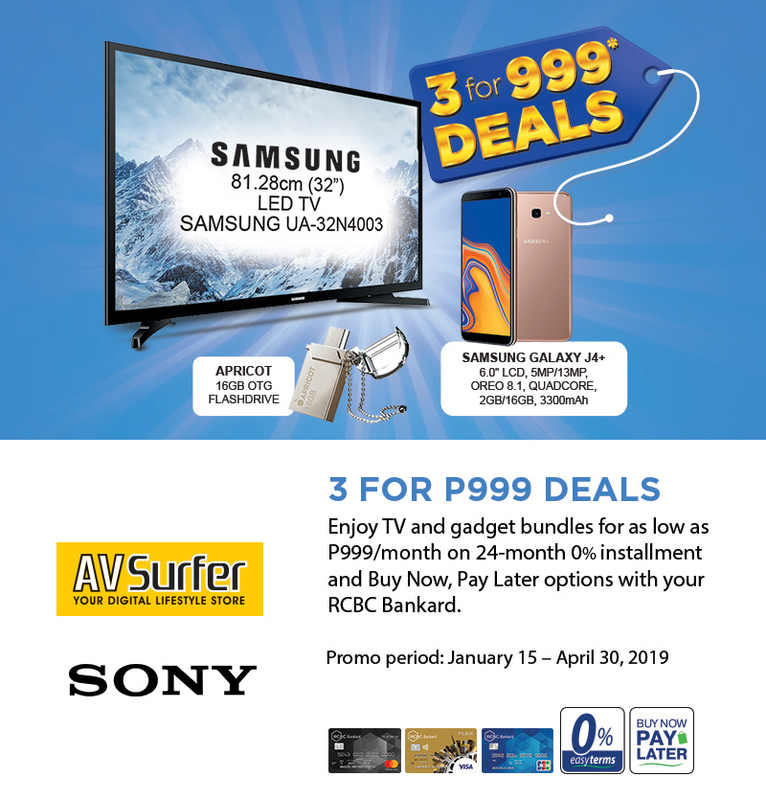 RCBC Bankard cardholders have the option to charge their 0% installment transaction on Buy Now Pay Later “BNPL” scheme wherein the first monthly amortization will be posted on the cardholder’s statement after the third cut-off date. Easyterms 0% installment merchant partners have the sole discretion over the term/s, item/s, minimum spend requirement and availability of BNPL applicable for the 0% interest offering. If the cardholder decides to pay the installment plan in full before maturity, a pre-termination fee of Php500.00 or 5% of the unpaid principal amount, whichever is higher, will be charged.